Dental Expressions is a state-of-the-art dental office where the dentist and staff offer treatments in all disciplines of dentistry. We treat patients of all ages. 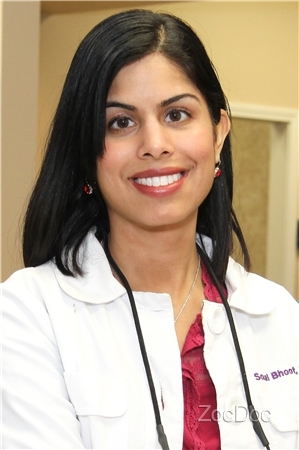 Our dental team which includes the dentist – Dr. Sonal Bhoot, strives for our patients to be comfortable, while receiving outstanding treatment from our caring and compassionate staff. Dr.Bhoot absolutely loves being a dentist. “I love coming to the office and being surrounded by wonderful staff members that value all of the same things I do”. We strive to be recognized as one of the leading dental offices in the Leawood community and the best reward is our contribution to improving the lives of our patients. Dr.Bhoot enjoys spending time with her husband, Dr.Veeral Bhoot, and two daughters Uma and Jaya. They are originally from New Jersey and enjoy traveling on the east coast.